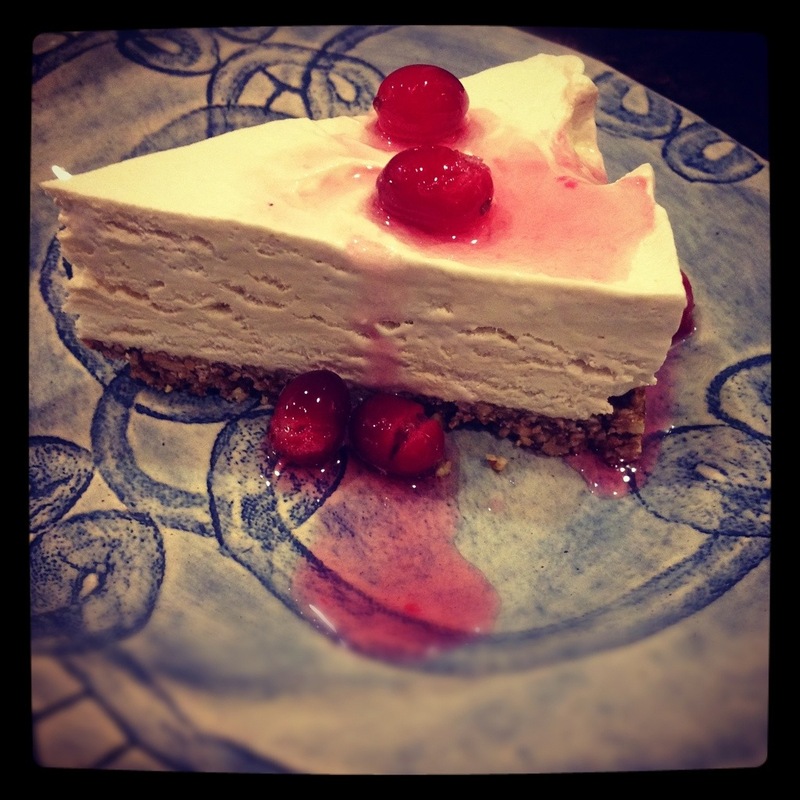 To finish off the thanksgiving for two meal, I made a light and pretty maple mousse pie topped with candied fresh cranberries. It was the perfect end to a great and not too heavy meal. 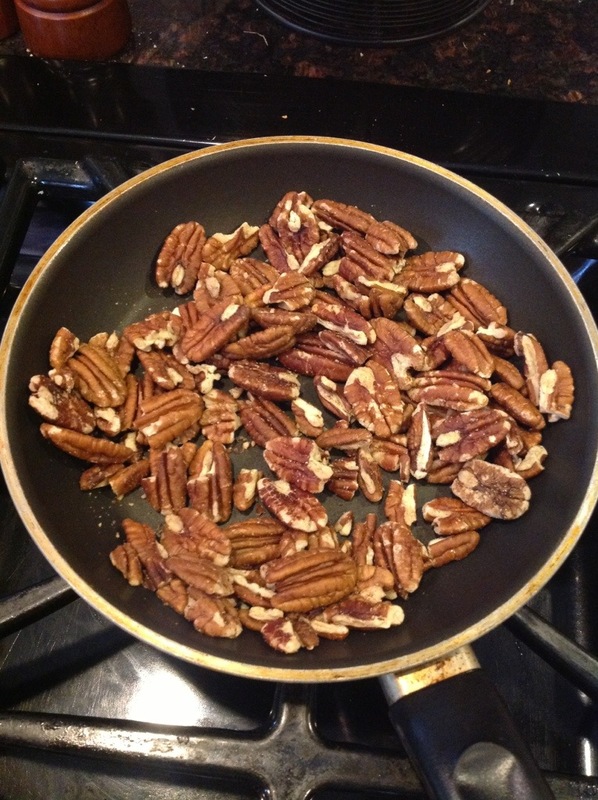 To make the crust, I toasted the pecans in a small pan over medium heat until fragrant. 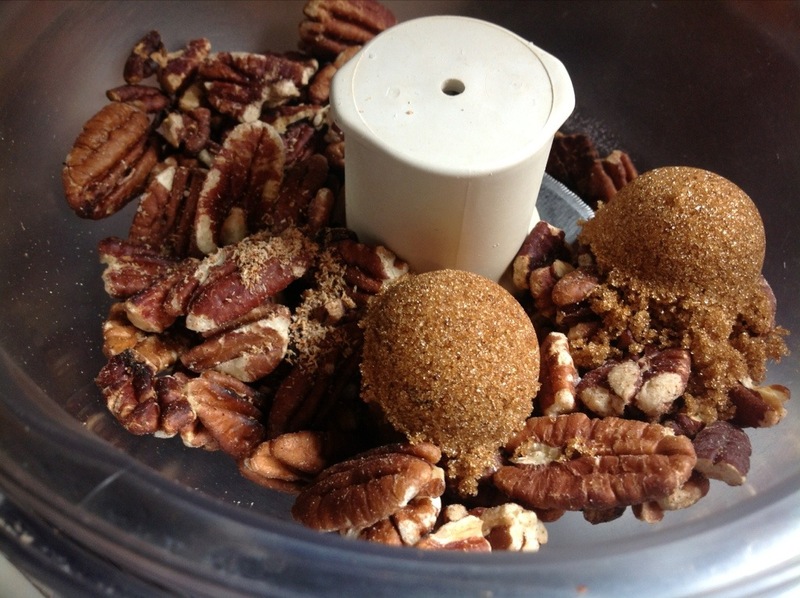 The recipe asked to toast the pecans in the oven, but I find the stove top method to be much easier and faster. 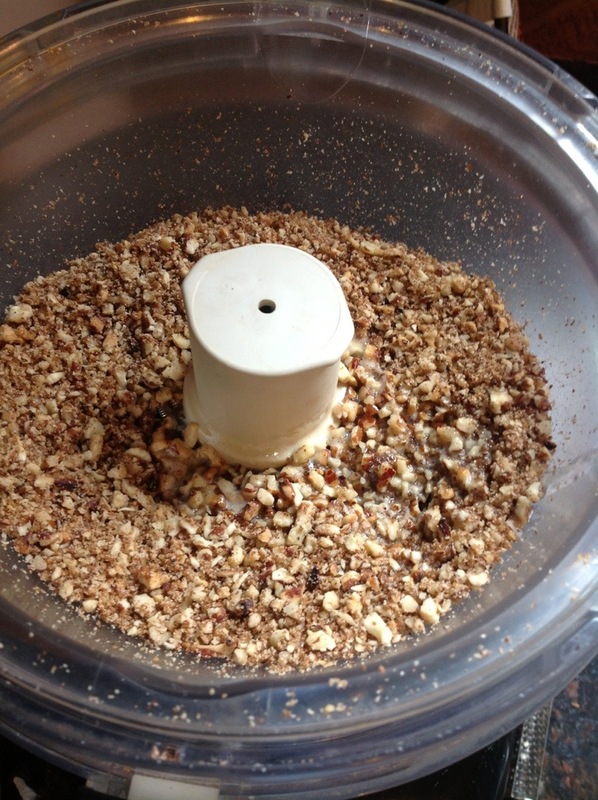 In a food processor, pulse the toasted pecans, brown sugar, nutmeg, and salt together until finely chopped. Add melted butter and pulse to incorporate. 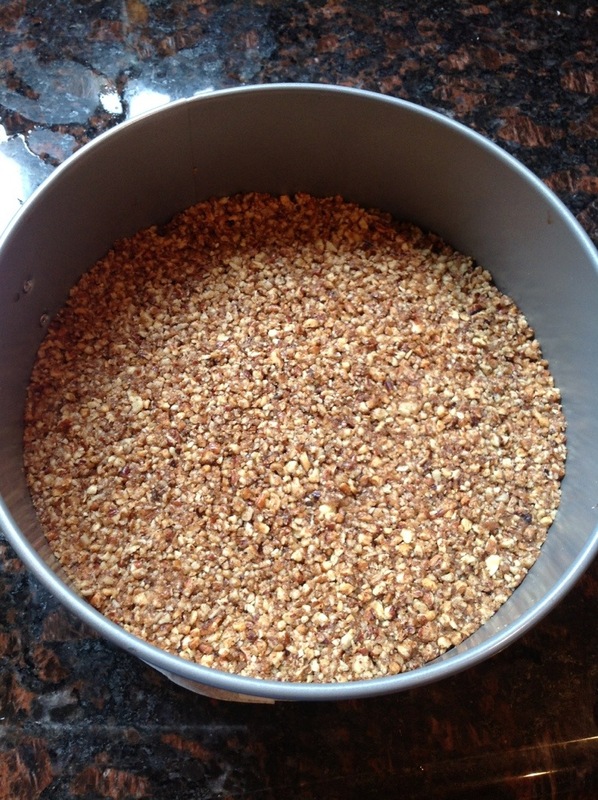 Press the pecan mixture into the bottom of a springform pan, refrigerate until firm. In a small sauce pan, heat the maple syrup until it boils, then let it simmer over moderate heat until it registers 235 degrees on a instant read thermometer. 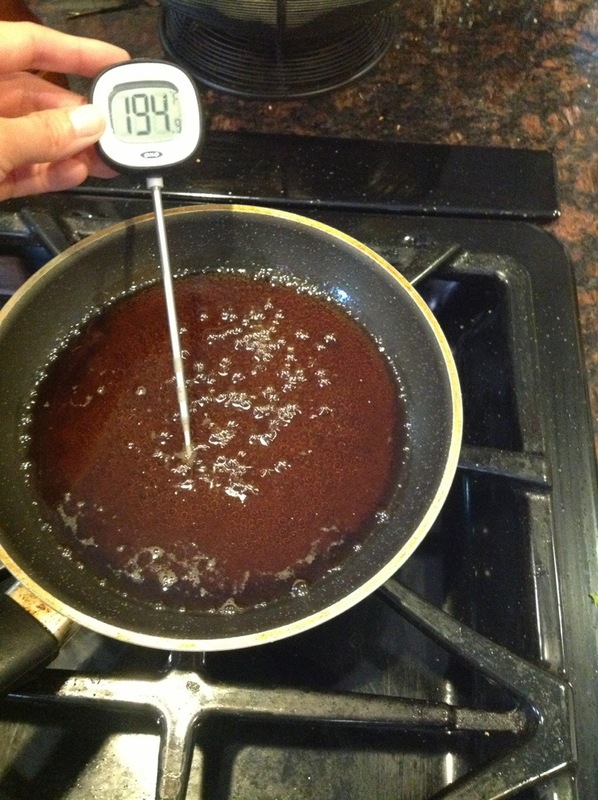 Watch it carefully and make sure the syrup does not boil over or burn. While the syrup is getting up to temperature, in a stand mixer with whisk attachment, beat the egg whites along with cream of tartar and salt until soft peaks form. With the mixer on, slowly pour the hot maple syrup into the egg whites, and beat on high speed until stiff peaks form. continue to beat until the meringue has cooled to room temperature. 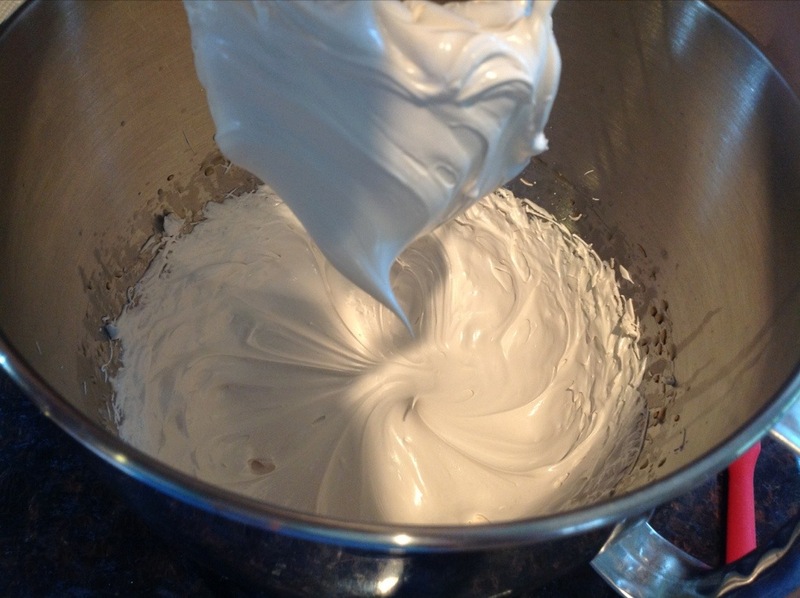 Transfer the meringue to a large bowl, clean and dry the mixing bowl and whisk. 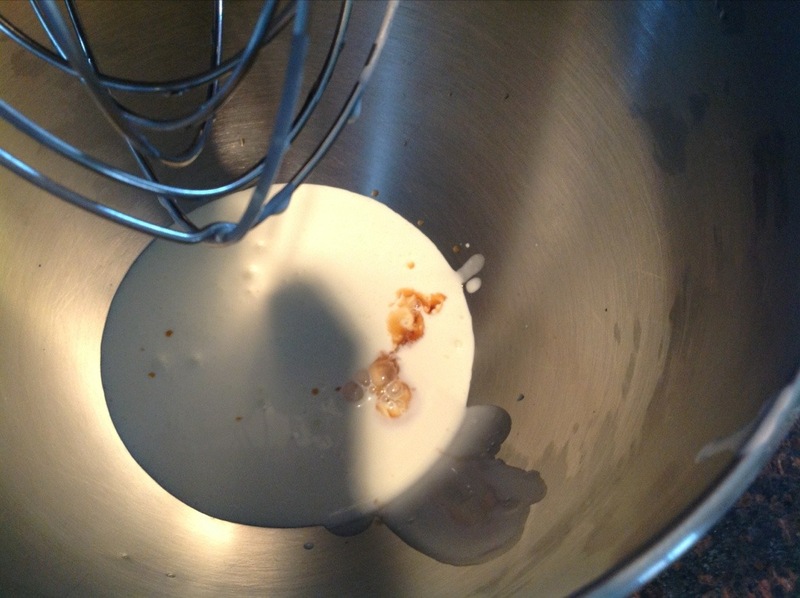 In the cleaned mixing bowl, whisk heavy whipping cream together with vanilla extract until soft peaks form. 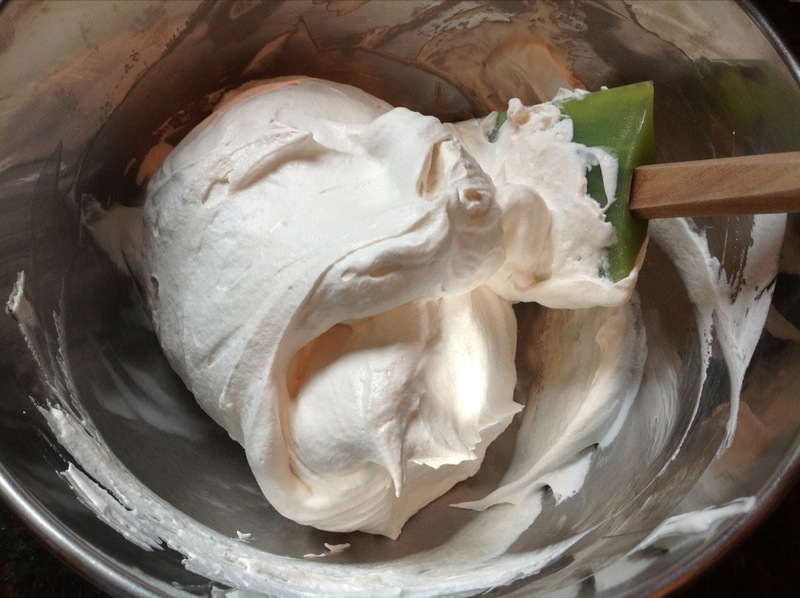 Gently fold the whipped cream into the cooled maple meringue. 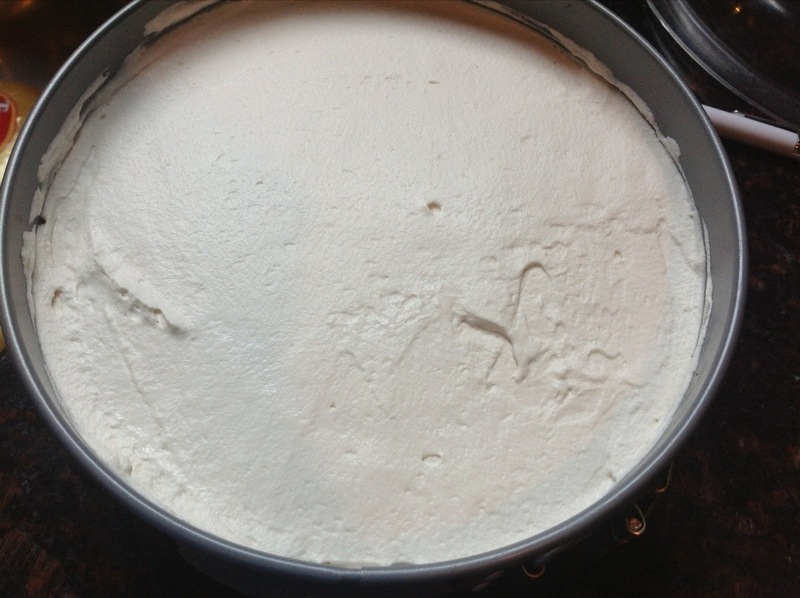 Scrape the mousse into the prepared crust, leveling off the top. Freeze over night or until firm, at least 4 hours. 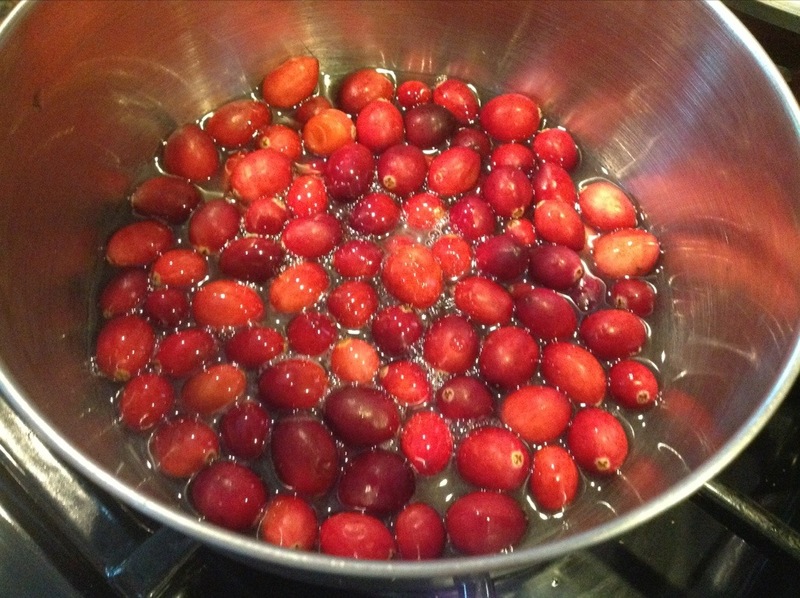 To make the candied cranberries, place cranberries in a heat proof bowl. 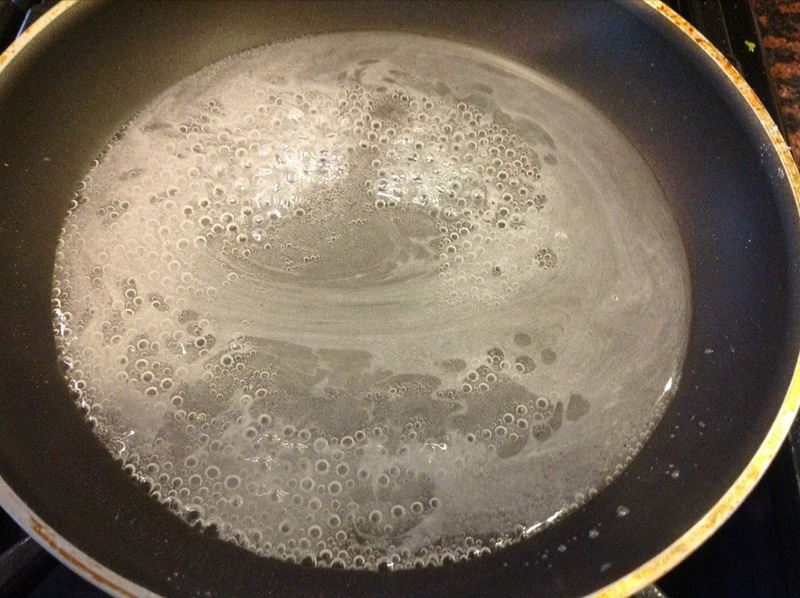 Melt the sugar with the water in a small sauce pan over medium heat until the sugar has completely dissolved. Pour the sugar syrup over the cranberries. 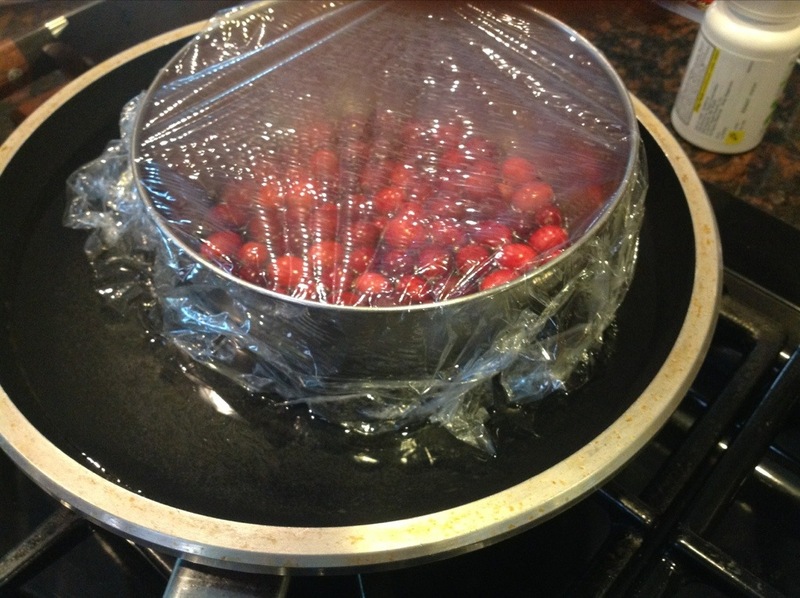 Cover the bowl with plastic wrap and set over a simmering pan of water. Cook over medium low heat until the cranberries are soft and the sugar syrup becomes pink, about 45 minutes. Remove from heat, let cool, the chill in the fridge. 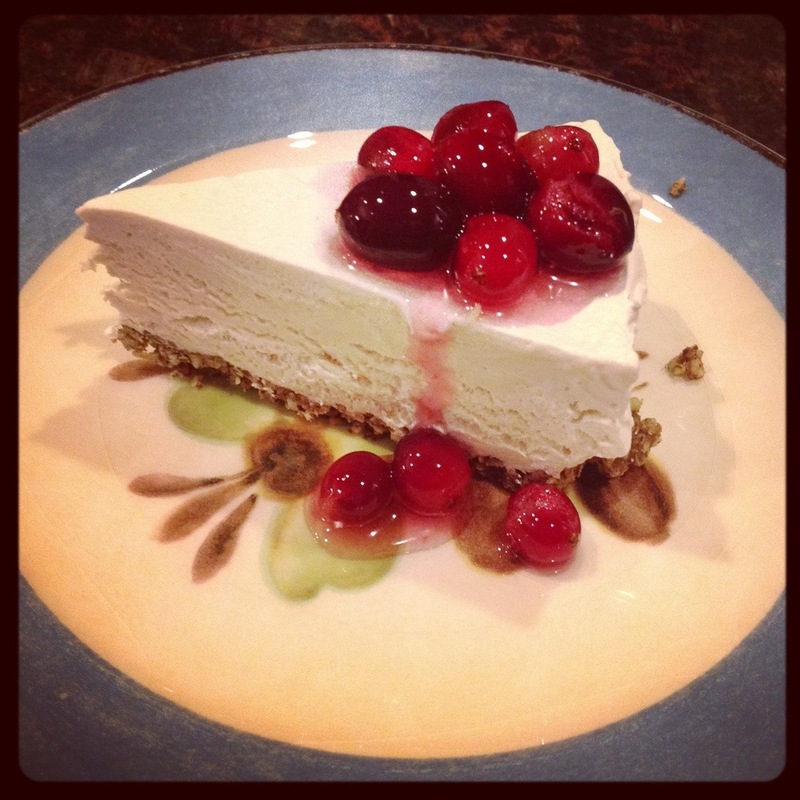 Remove the frozen mousse pie from the springform pan, cut into slices, and serve with candied cranberries and syrup.